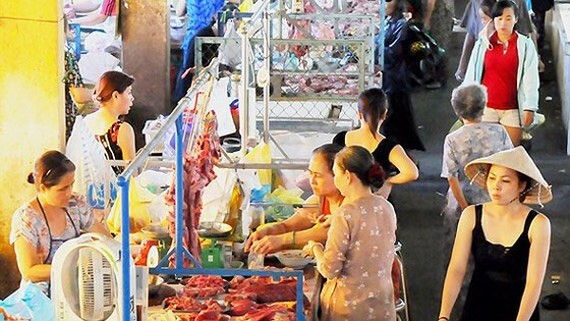 Domestic trade accounts for over 10 percent of the country’s Gross Domestic Product (GDP), according to Deputy Minister of Industry and Trade Do Thang Hai. He was speaking at a conference to take opinion about the draft strategy on national trade development by 2025 with the vision to 2035. In addition to developing foreign trade through exports, Vietnamese government has also paid attention to growing local trade. Mr. Hai said that in spite of limited state budget in 2006-2018, domestic trade has contributed 10 percent to the country’s Gross Domestic Product offering employment to 12 – 13 percent laborers in the country just behind agriculture, forestry, aquatic sectors and processing industry. Retail and service turnover in the country have seen good growth. The average growth of goods retail sales is 1.5 - 2 times higher than GDP average growth in the same period. However, Vietnam needs a general and comprehensive strategy to push up local trade sustainably. 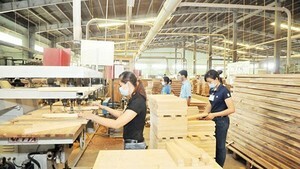 Domestic trade GDP national trade development strategy draft agriculture forestry aquatic sector processing industry.